Microneedling with PRP is any effective, highly advanced technique to trigger natural collagen production in the skin tissues. At Park Slope Laser Aesthetic Center, our mission is to provide our clients with the most modern, positive treatments to preserve, maintain, and restore skin on the face and body. We believe microneedling with PRP can do wonders for skin that has begun to show the signs of age. Your body’s natural healing processes are accelerated with PRP, and as the collagen production increases, your skin regains its natural elasticity, smoothness, firmness, and glow. Microneedling is a treatment that involves the use of tiny needles that produce micro-injuries to the skin. These micro-injuries stimulate the body’s natural collagen production – that substance that provides flexibility and strength to skin and body tissue. To speed the healing process, microneedling is further enhanced by injecting PRP (Platelet Rich Plasma) into the treated tissue. 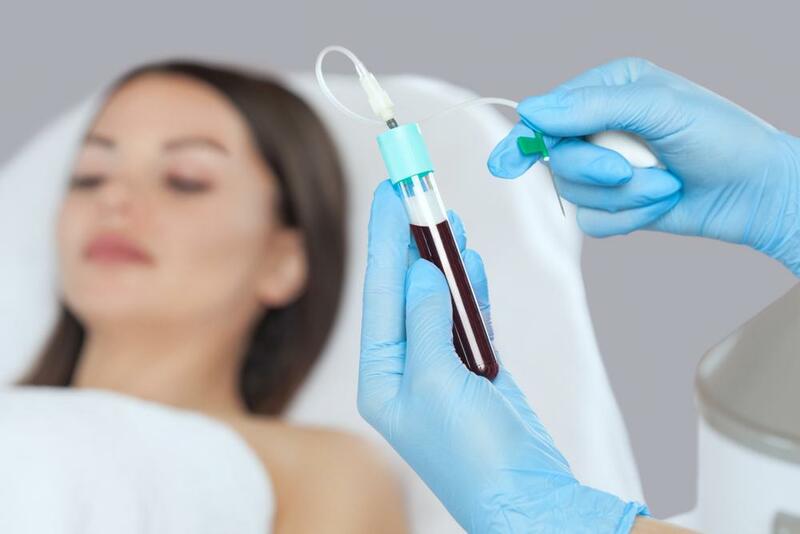 The PRP is obtained from drawing a small amount of your own blood, from which the plasma is separated to concentrate healing properties. Microneedling with PRP can be used in several different areas of the body, including the face, neck, arms, décolleté, arms, abdomen, back, hands and legs. WHAT ARE THE BENEFITS OFMICRONEEDLING WITH PRP? PRP is created from a person’s own blood, and is a concentrated blend of plasma cells and specific growth factors. When injected into tissue, it bathes the cells to naturally stimulate the healing process. This advanced technique is often used by professional athletes who need to recover as quickly as possible, to help to reduce recovery time. As a regenerative technique that accelerates the body’s natural healing processes, in conjunction with microneedling, the treated area of skin can restore and rejuvenate for a firmer, more youthful texture and flexibility. IS MICRONEEDLING WITH PRP RIGHT FOR ME? Our PRP Microneedling treatment is available to adults who want to improve the appearance of the skin on various body areas. It is a safe and effective treatment for all skin types. The depth of the microneedling will be adjusted for each individual and the body areas to be treated.